Dark, yes, and with moments of heart-thumping tension so great it makes you skip through prose you know demands attention just because you want to find out what is happening. And then there’s the ending. Without giving anything away, I think I can say that it’s just a tad disappointing. 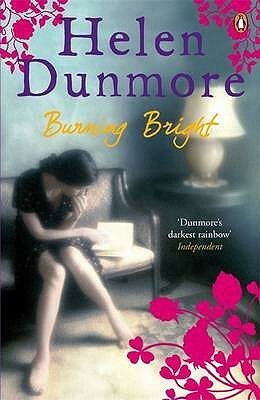 The book as a whole gets five stars though: worth reading for Dunmore’s restrained English poeticism even when nothing much is happening - and there’s plenty happening at all stages of the narrative. But the ending I’m afraid strikes me as though Dunmore simply couldn’t think of anything better: one star, making the whole rating 4! But still worth reading. Sign into Goodreads to see if any of your friends have read Burning Bright.